Woof woof – my name is Cain. 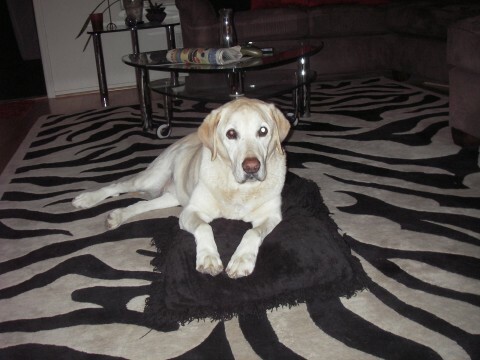 I passed away on July 10, 2009.I was a beautiful, smart, happy, yellow Labrador who loved life and my family. 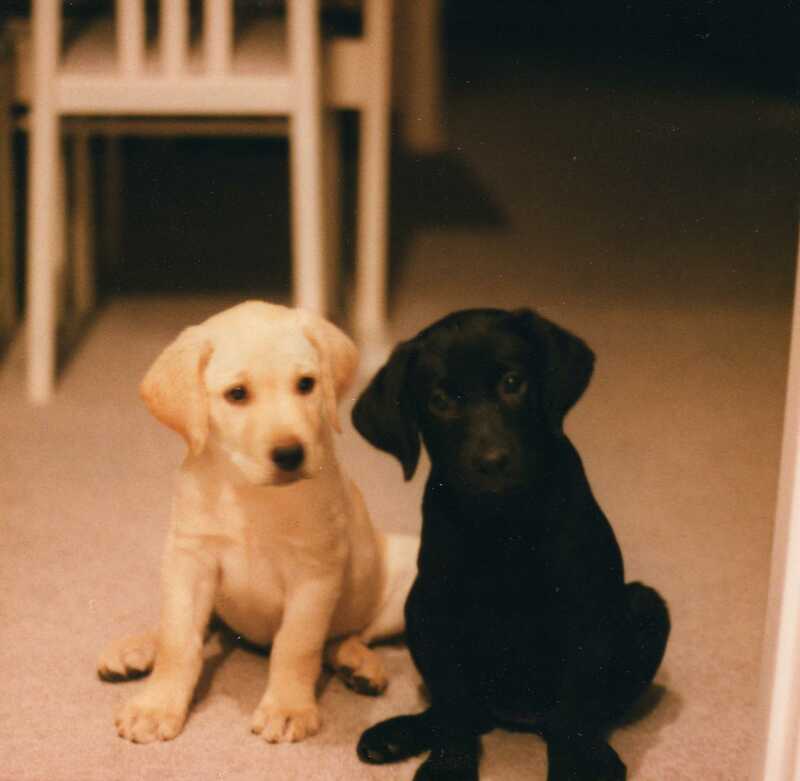 I grew up with my sister Piper – we share the same birthday, May 9, 1997. I was a cute and lively little boy. But sometimes I could be a bit naughty. When I was a puppy, I slept in some interesting positions. I was especially into cuddling with the giant wine bottle – maybe because I was named after a wine. When we were growing up, Piper and I put our heads together and came up with some funny sleeping poses. When I became an adult dog, I still looked really cute when I slept. One day I got my teeth cleaned. I felt really strange and woozy when I came home from the vet. My family thought I looked silly and took this photo. Speaking of silly – my family sometimes put hats and t-shirts on me. I didn’t really mind, but I will never live down wearing the pink crown. It took a while for me to pick up on my Labrador swimming instinct, but I eventually got into hanging at the pool. I loved to cuddle with my family, especially when they let me sleep on the bed. When my family ate yummy food, I tried really hard to look cute so they would share with me. I miss spending time in the yard – relaxing in the sun, watching the birds, and smelling all the cool smells. I really liked to howl at the sirens as they went by my house. The thing I miss most of all is spending time with my family. We had some great times together. Every morning I proudly carried the newspaper into the house and gave it to Lori. When Michael opened a bottle of champagne, I got really excited and barked. Then I chased the cork as it flew across the room. When I wanted to go on a walk, I brought Lori a shoe. If she didn’t catch on, I went back to the closet and got another shoe. When we were ready to go, she let me carry the leash to the door. Someone was always ready to give me love. When I wanted attention, all I needed to do was rest my head on someone’s knee or nudge my nose under their hand. I frequently gazed out the window to see what was happening in the world. This photo was taken on Lori’s birthday (that’s why I was wearing a bow) just a few weeks before I passed. You were a truly unique and special beast and there will never be another dog like you. When you died, a part of us died with you. The pain will dull, but life will never be the same. Our big goofy yellow boy will always be in our hearts. Beautiful dogs, Lori. I can only imagine how difficult it must have been to loose them. It is obvious from your photos how much they were loved. And a dog who is loved is a happy dog. You gave them a good life. I know they passed a few years ago, but I truly am sorry for your loss.